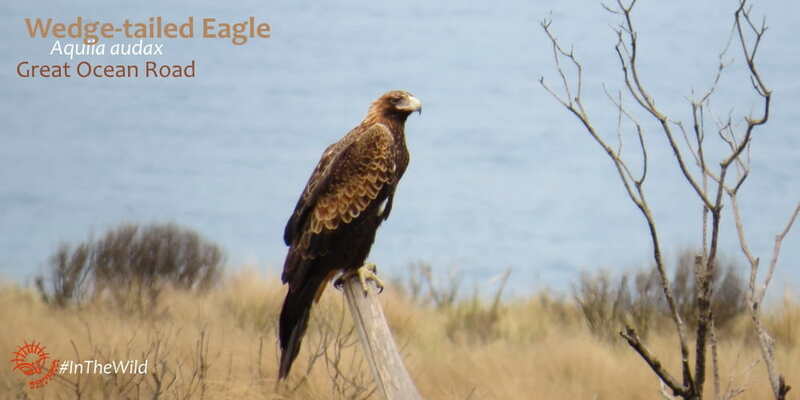 We see a lot of eagles and birds of prey along the Great Ocean Road on our 3 day wildlife tour. We travel across a great variety of habitats – coastline, open plains, mountain forests, dry woodland – all home to different species of raptors. The Wedge-tailed Eagle is one of the world’s largest eagles. We are fortunate to see them on almost every Great Ocean Road wildlife tour. They hunt over the grasslands of Melbourne’s Western Plains, which we travel across on Day 1 and Day 3. The You Yangs on the first day is home to at least 2 pairs, and further west they can be seen around the volcanoes and lakes around Camperdown and Colac. 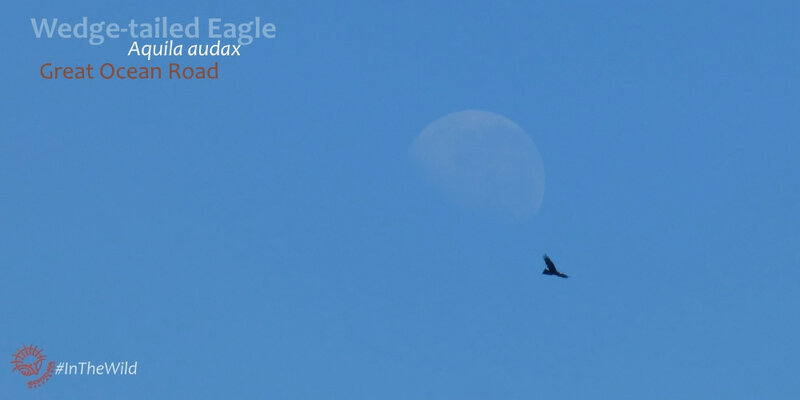 This lovely small eagle comes in two colour forms – dark and pale. The pale morph is particularly lovely – see the picture above. We usually see pale morph birds around Serendip Wetlands on the first day, and sometimes flying over the highway near the Western Treatment Plant. A colourful small falcon seen in many locations around the Great Ocean Road. Some days dozens are seen. This beautiful little bird can often be spotted hovering about 10metres off the ground – white underside contrasting with rich rufous back and wings. The Black-shouldered Kite is another hovering small raptor like the kestrel, but almost all white and with very long pointed wings with dark tips. 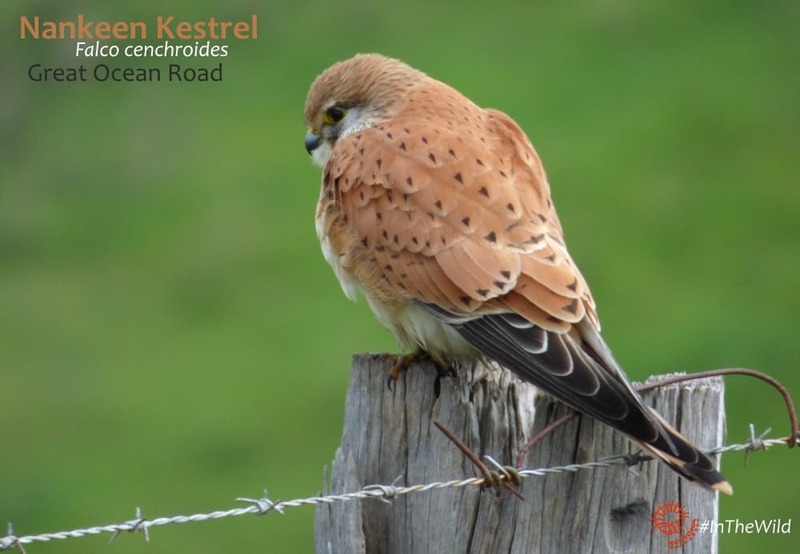 They live in similar habitats to Nankeen Kestrels and are often seen alternating with them on adjacent fence posts! 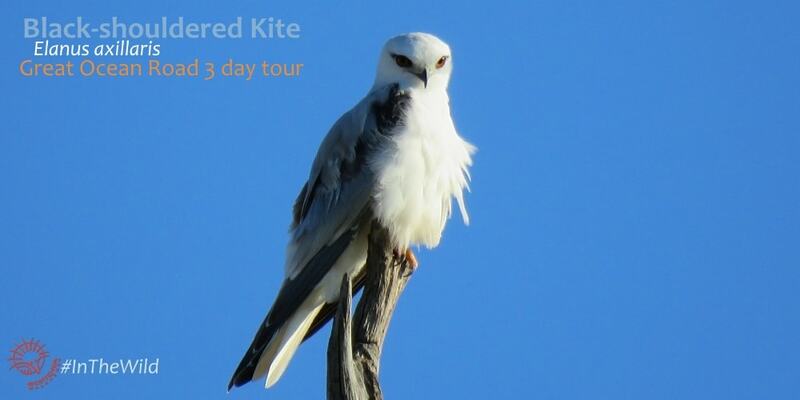 Research (Tsang et al 2016) has compared the diets of Black-shouldered Kites and Nankeen Kestrels around Canberra and found the kite is mostly a predator of small mammals, particularly mice. The Nankeen Kestrel also takes mice and other vertebrates occasionally but eats far more insects than the kite. So the two species appear to live together without much competition for food. This bird – the white morph of the Grey Goshawk – has been called the world’s most beautiful bird of prey. They are pure white all over, with orange-red eyes, yellow cere and legs. Nowhere are they common, but the place they are most likely to be seen is the Great Ocean Road. Our Wildlife Guides have a few favourite places to watch out for them. The stronghold of the Grey Goshawk in Victoria is the Otway Ranges, along the Great Ocean Road. Most of these birds are white morph. Threats to Grey Goshawks include habitat destruction for logging, agriculture and housing and road building, secondary poisoning as part of feral control programs, and direct destruction due to ignorance. Building community awareness of the importance and rarity of this bird is critical. The Australian Hobby is a beautiful medium-sized falcon. They are quite similar to the fastest bird in the world – the Peregrine Falcon – but smaller. They are also capable of flying at great speed (the closely-related Eurasian Hobby is known to catch fast-flying swifts on the wing). 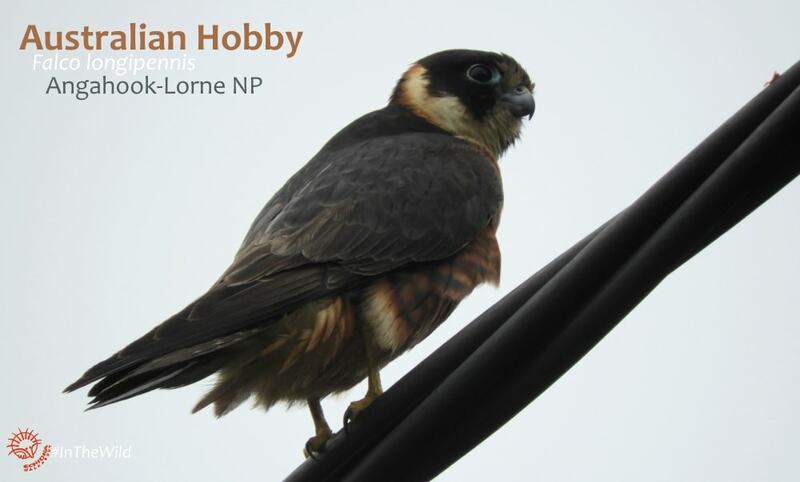 We often see a hobby quite near the urban fringe of Melbourne. They seem to do quite well in urban habitats, particularly around parks and areas with trees. 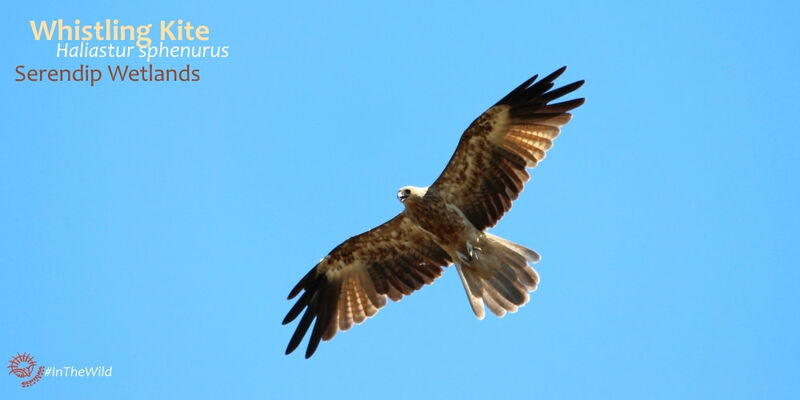 A common sight around Serendip and wherever there are rivers or lakes along the Great Ocean Road, the Whistling Kite is a large and beautiful raptor. They have a gold head, chest and tail, and golden brown windows in their wings when in flight. They are best known for their distinctive call – a high, ascending whistle that is often used in films to convey isolation and remoteness. Birds of prey are top level predators who need a lot of space and lots of food to survive. They are often used as indicators of ecosystem health – a healthy environment has an abundance and diversity of raptors. Australia is lucky to still have good numbers and diversity of some of our birds of prey. 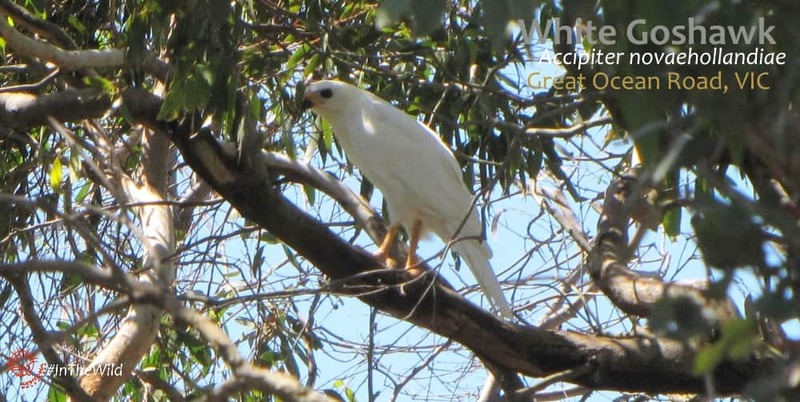 Of the species presented in this blog, we still have secure populations of Australian Hobby, Nankeen Kestrel and Black-shouldered Kite. 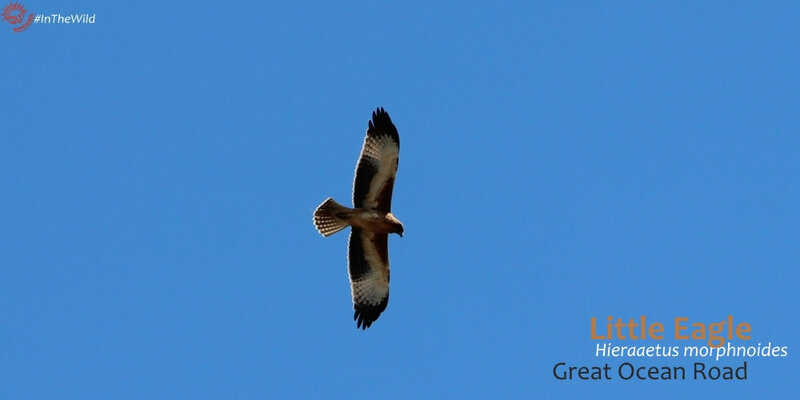 Though still listed as Least Concern by IUCN, populations and reporting rate of Wedge-tailed Eagle, Little Eagle and Grey Goshawk have declined and even the Whistling Kite is declining in southern Australia due to draining of wetlands. Some of the declines of the larger species is due to direct persecution by ill-informed farmers. Australia needs to promote public knowledge and awareness of all our wildlife, including birds of prey, if we are to keep it. If you are travelling in Australia and enjoy seeing wildlife, pass that on to your local hosts. If you live in Australia, please take a minute to learn a bit about our magnificent fauna. Feel free to follow us! We promise to keep writing informative blogs about wildlife.